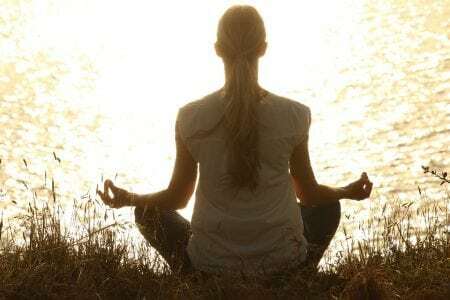 How to start meditation and how does it affect a person? Each of us at least once thought about starting to practice meditation. But how correctly to meditate, with what to begin and whether this spiritual practice is able to affect the state of health? If you are prone to chronic insomnia – meditation can significantly improve the quality of your sleep. According to studies, people who meditated for about 8 weeks reduced the time of night wakefulness. And after 6 months of meditation, the quality of sleep in people suffering from insomnia significantly improved. Meditation relaxes the mind and body. Minor troubles and stressors will no longer be taken out of balance. Meditation can help avoid professional burnout and reduce stress levels. This fact confirms scientific research. Moreover, meditation positively influences the prefrontal cortex of the brain, which is responsible for self-awareness and attention. Regular meditation causes changes in brain waves, which improves the functionality of the brain. Meditation helps to fight overeating. 30 minutes of meditation per day allowed the volunteer participating in the experiment to maintain their weight unlike another group of volunteers who gained weight even carefully monitoring their diet. Due to this spiritual practice, people are less likely to be visited by negative thoughts. In any case, the negative can no longer capture you completely. Meditation helps people with anxiety disorders. If you are constantly worried, meditation can calm your mind. Meditation successfully reduces pain in patients who suffer from chronic pain. Meditation will achieve harmony in the relationship. By practicing meditation, you will begin to better recognize your emotions and the emotions of others. According to studies, women who practiced meditation were significantly satisfied with their marriage than those who were far from this spiritual practice. If you just get acquainted with meditating – then start with 5 minutes. Gradually bring the time spent on meditation to 30 minutes. Meditate in any convenient position for you. And most importantly, make a habit out of meditation. To do this, find a convenient time during the day. You can start by counting the breath. Count every breath and exit. Your mind will be distracted from counting your breath, but you gently guide it to counting your breathing. Next PostNext How Many Cups of Coffee Should You Drink Daily?